Anatto seeds are often processed into a paste, and used as a sauce for foods across the globe, including Cochinita Pibil in Mexico (a delicious roast pork dish) and Hallacas in Venezuela. They are also used as a popular food colorant in items such as Spanish yellow rice. Annatto is a seed, and is also known by the name of the tree it comes from—the achiote, or Bixa orellana, affectionately known as the ‘lipstick tree’. 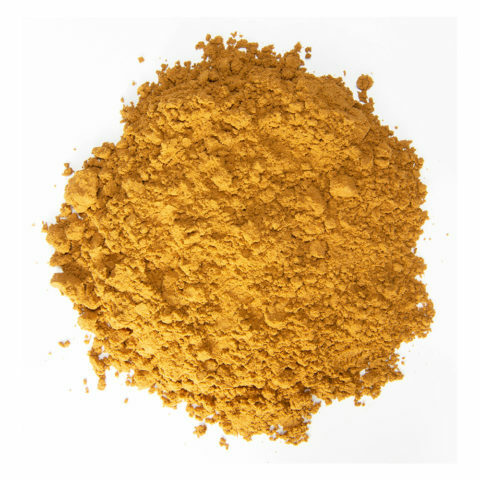 Annatto may be familiar to you as a coloring agent, and not only for cosmetics; as a food coloring, annatto enhances the appearance of cheddar cheese and butter, imparting an appealing yellow hue. 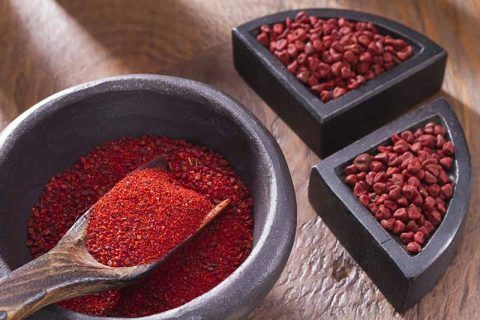 Annatto seeds are a preferred dye for foodstuffs because it is entirely natural…in effect, because it is a food itself. But annatto’s compelling aroma hints at the other side of the story of this tropical spice. Its complex flavor gives it an unusual usage profile in the spice world: it can visually enhance while it enhances flavor. What it brings to the table beyond eye appeal is an earthy, musky, and slightly pepper flavor that is a touch sweet, and a touch nutty. 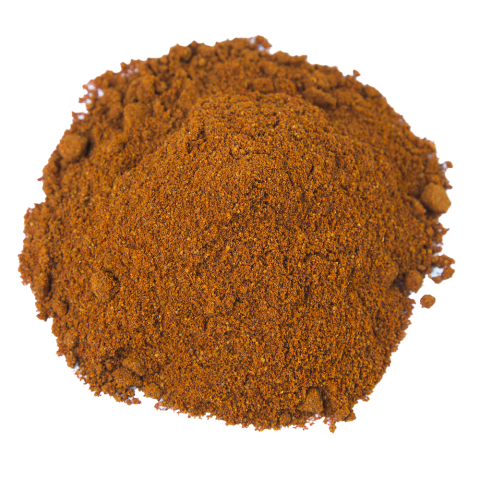 Annatto is typically mixed with other spices and ground into a paste. 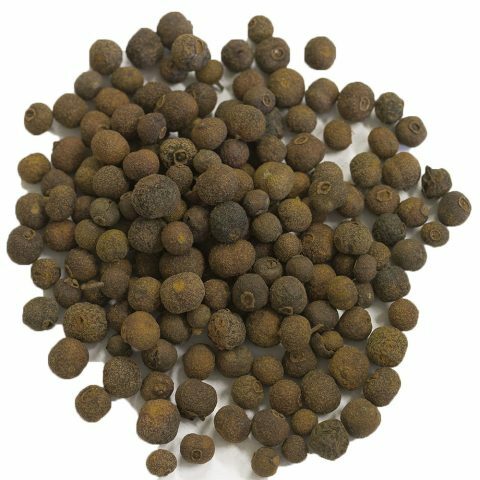 But it may be used to infuse oil with its earthy, peppery aroma, and a subtle yellow color. The most recognizable traditional use of annatto as a spice is in the preparation of cochinita pibil, a barbeque pork recipe from the Yucatán. The recipe also calls for garlic, citrus, and a host of spices that includes cinnamon and cloves. 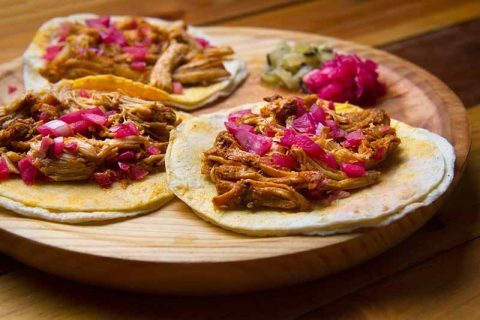 Cochinita pibil gives globally-minded chefs a good place to start when using this spice. Its earthiness gives it considerable appeal as a dimensional component, typically used to bolster and add complexity to dishes that use a broad spectrum of flavors and a good deal of spice. Annatto oil is used to give yellow rice its appealing color. Annatto paste is terrific as a grilling spice and rub, especially for poultry; its cousin adobo paste—a blend of chili pepper flakes, fresh garlic, and annatto, is also eminently grill-friendly. Annatto seeds may be best used by cooks exploring world cuisine as a springboard for delving into other traditional regional dishes like Puerto Rican arroz con pollo, a savory spiced blend of chicken, rice, and tomato. Annatto has a long history as a flavoring and color additive for foods, and a cosmetic, too. Presentation and eye appeal were important culinary dimensions for Central and South American natives hundreds of years ago, just as they are today. 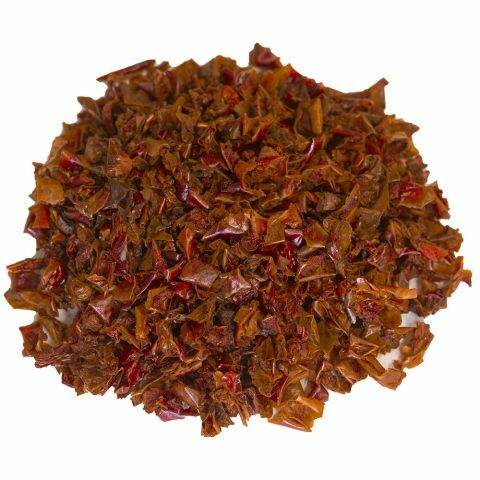 Mayan and Aztec peoples used annatto as a colorant, and as a flavoring additive; it was a necessary ingredient in the Mayan concoction that has come to be known as chocolate. Annatto was also used by native peoples as a medicine, body paint, and insect repellant. Annatto use is widespread, and it may be found in culinary use today in Mexico, South America, Central America, the Caribbean, Vietnam, and the Philippines. The first westerner to find Bixa orellana gave the tree its name: Francisco de Orellana. Orellana lived in the first half of the sixteenth century, and was a member of Pizzaro’s party before conducting his own profit-driven explorations of the Amazon basis. Bixa Orellana is fairly hardy, and today is cultivated in climates ranging from subtropical to tropical. From its native South America, the tree has now spread to Africa and Sri Lanka, as well as Mexico, Central America, and the Caribbean. The seed pods of B. orellana look formidable, with soft spikes and a fairly hard shell protecting the fruit within. The tree must be at least three years old for significant harvesting to take place. Annual annatto production is fairly limited, and most ecommercial annatto comes from Peru. 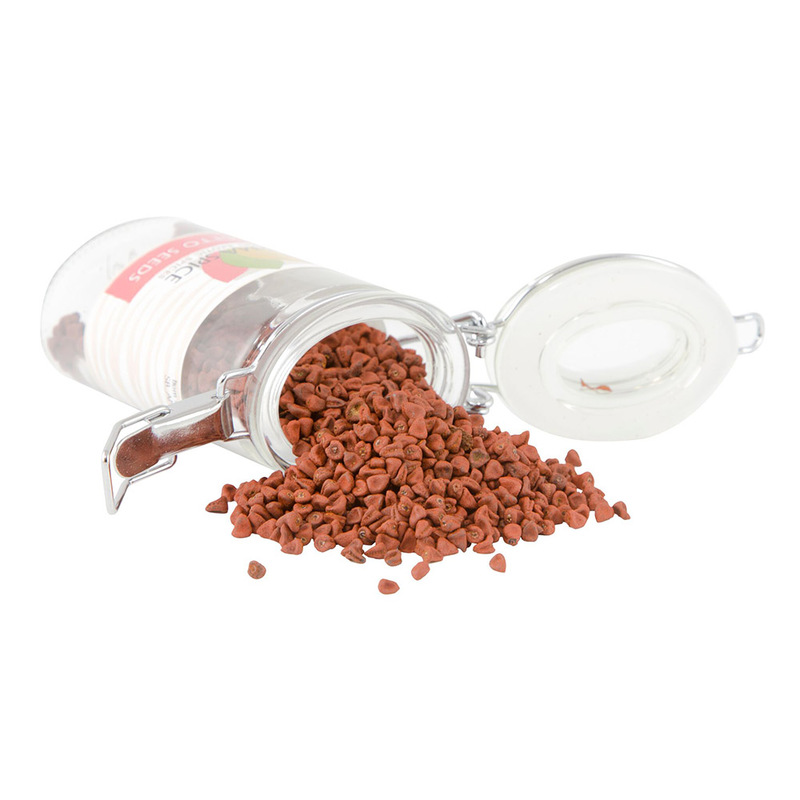 Burma Spice’s annatto seeds are sourced from the town of San José Poaquil in Guatemala. San José Poachil is an agricultural town in the central part of Guatemala as well-known for its colorful, hand-loomed textiles as it is for its coffee beans and other produce. Our annatto seeds are hand-harvested in the traditional manner in the hills outside this bucolic and quiet city, and sold to us directly from the people who harvest it.